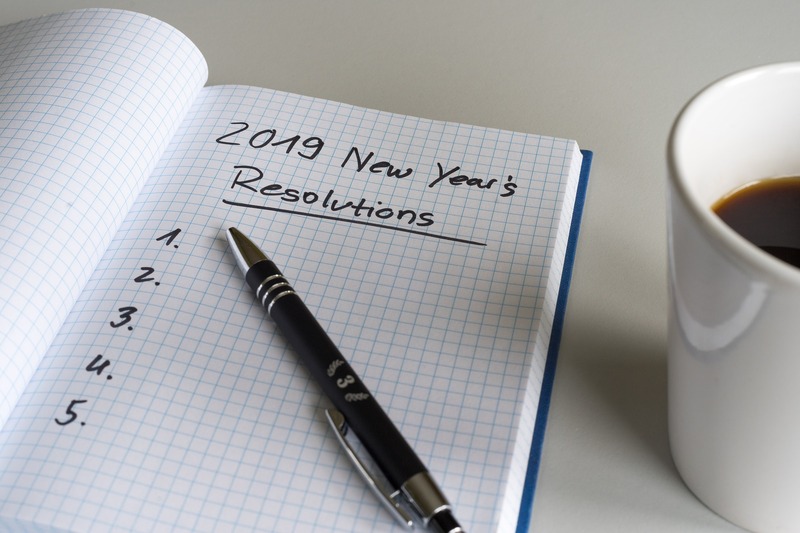 The author questions the value of making the same resolutions year after year, when all it does is lead to disappointment and feelings of inadequacy and failure. The New Year is just around the corner, which means it is time to make a resolution or two. So, what will it be in 2019: get fitter (again!? ), spend more time with family and less time on the internet (wait, what?! ), finish writing that book (uh, oh! ), travel the world (sigh! ), earn more money, perhaps? While the new year stirs hope and optimism in our hearts, the truth is most of us will do in 2019 exactly what we have been doing year after year—set a few goals that will be forgotten by the end of February, if not sooner. So, this year why not try and do something different? How about making no resolutions at all? Before you scream, “What!? But it is the New Year! A time to reset the clock and go about achieving my full potential,” just hear me out. Isn’t it pointless to keep making the same resolutions year after year, when all it does is lead to disappointment and feelings of inadequacy and failure? So, keeping all this in mind, we went around speaking to people who have given up making new year resolutions. And guess what they told us? Change happens when you act upon your intentions, and the best time to act is NOW! “I used to get very excited about making resolutions every year, only to find my enthusiasm waning in the first few months,” says software engineer Shreya Mathur. Shreya not only found her “failure” discouraging but it also undermined her future efforts to set achievable targets. “It led me to believe that I did not have the willpower or discipline to overcome my negative habits”. However, Shreya quickly realised that her resolutions were failing because she was procrastinating instead of working on her goals immediately. “I decided to start working on myself as soon as possible and not wait for some magical and glorified date on the calendar”. In the last three years since she gave up making new year resolutions and being more intentional in her life choices, Shreya has learned a new language, volunteered in Africa, and read a new book every week! Alok Singh believes that the number one reason his resolutions did not work was because he was setting unrealistic goals. As his enthusiasm and stamina started building up, Alok also started running a few metres every day at his local park and then increasing the distance each week. While Rajini Menon has lost count of the number of times she has resolved to switch to a greener and more organic diet, a health scare a couple of years ago made her realise it was “now or never”. In a nutshell, all of us can do with some improvements in our lives. However, planning to implement change or setting goals is not something we should strive to do only once a year. So, let us do away with New Year resolutions and continue to make small and big changes in our lives throughout the year.